Hospitals perform due diligence, pursuing the best partnership plan for patients. HOLLISTER, Calif.–August 23, 2018: Hazel Hawkins Memorial Hospital (HHMH) and Salinas Valley Memorial Hospital (SVMH) continue to study how the two healthcare systems could work together for the benefit of patients. The hospitals entered into an exclusive negotiating agreement in May 2018. The agreement enables both hospitals to take an in-depth look at how a collaboration of resources might help their respective communities. As a part of the negotiation process, SVMH has contracted with a consulting group, ECG Management Consultants, to perform due diligence in exploring the business and patient care model of HHMH. This due diligence is expected to be completed shortly, with a final report anticipated within the next two months. HHMH and SVMH will use the report to help determine what type of integrated services would be mutually beneficial. In a recent poll of San Benito County residents fielded by HHMH, 82% of residents polled felt that a partnership with a larger health system would help their community. 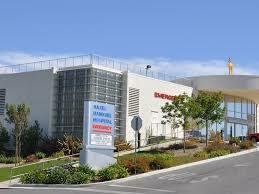 The two healthcare facilities already have a strong collaborative relationship. HHMG utilizes SVMH’s materials purchasing contracts to receive the larger facility’s economies of scale in purchasing supplies and equipment. A fuller collaboration has the potential to add more specialists and streamlined services to San Benito County. Hazel Hawkins Memorial Hospital is a full-service, publicly owned District hospital committed to advancing healthcare in the community. Offering hundreds of health services across multiple locations, Hazel Hawkins delivers cutting-edge, compassionate care for the growing San Benito County community, including top-tier specialists, a modern ER, and a state-of-the-art Women’s Center. To learn more about Hazel Hawkins Hospital, please visit www.hazelhawkins.com.